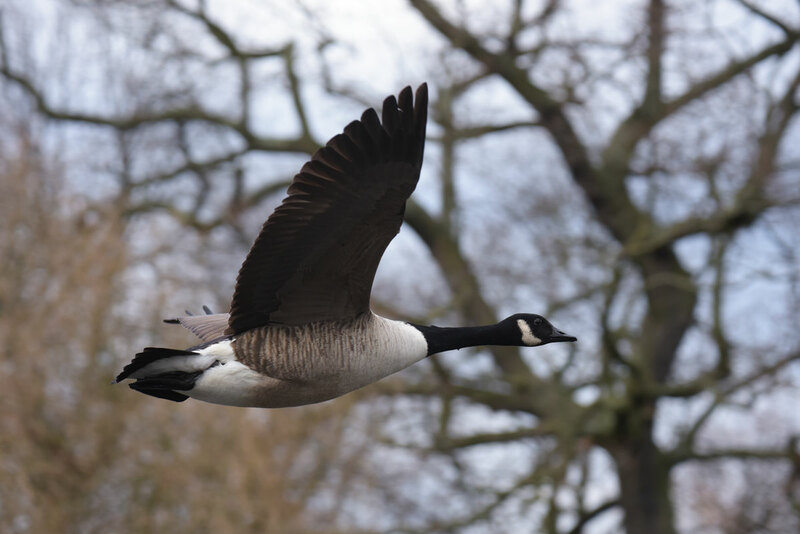 During migration, Canada geese fly in a "V" formation and honk as a form of communication throughout the trip. A herd of gees overhead is likely to produce more honking than a New York City traffic jam. Canada geese are commonplace throughout Montana?especially during fall migration when the geese gather in huge flocks on lakes and ponds. They are frequent visitors to grain fields and eat anything left after the harvest.